안탈리아, 터키의 롤 스트리트 | 호스텔월드에서 예약하세요. Role Street is a newly renovated stone villa surrounded by a beautiful shaded garden also inside of the villa is designed with street art and vintage furniture. 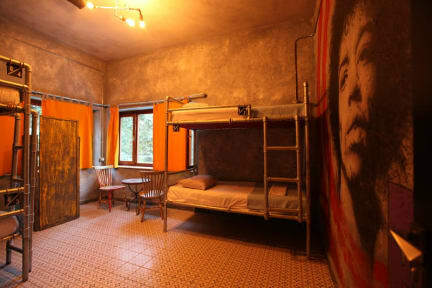 Unique well designed hostel for everyone! As Local and international tourists alone travellers, groups, backpackers who like to taste different atmosphere. 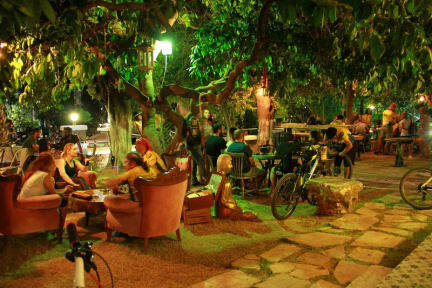 Featuring free WiFi, a restaurant and a terrace, Role Street Hostel offers accommodation in Antalya. The hostel has a sun terrace and views of the garden, and guests can enjoy a meal at the restaurant. Services/facilities we offer: Coffee Shop & Kitchen, Rent a bike, Transfer Service, Laundry Service, Guidance for Tourism Agency, Tours. Renting bike is available at this hostel and the area is popular for cycling. Kesik Minaret is 200 metres and Yatch Marina is 500 metres while Antalya Airport is 10 km from Role Street Hostel. Kaleici is a great choice for travellers interested in museums, old town and history and sight-seeing. Certain rooms include a seating area where you can relax. A terrace or balcony are featured in certain rooms. All rooms are equipped with a private or shared bathroom. There is a 24-hour front desk, concierge service, gift shop, and shops at the property. All rooms have air conditioners. Delicious and healthy preferable 4 different breakfast menu is included. 220V electricity plug is available on headboards all of the each bunk beds.